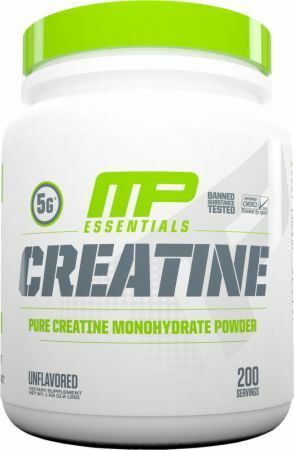 MusclePharm® Creatine has no taste or odor and can easily be mixed into water or your favorite beverage. For best results, consume one serving (one scoop) before or after training. Use as part of healthy diet and exercise program. This product is only intended for use by healthy adults over 18 years of age. Consult your physician before using this product if you are taking any prescription or over the counter medications or supplements. Do not use this product if you are pregnant, expect to become pregnant or are nursing. Do not use this product if you are at risk or are being treated for any medical condition or if you are taking a MAO inhibitor. Do not exceed recommended serving size or suggested use. KEEP OUT OF REACH OF CHILDREN. 300 Grams This is a Buy 1 Get 1 FREE offer!